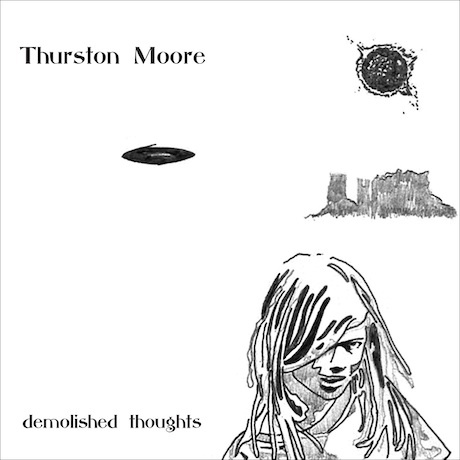 On Tuesday May 24*, Matador will be releasing ‘Demolished Thoughts’, the 4th solo album from Sonic Youth’s Thurston Moore (5th if you count 1998’s ‘Root’) and the first to be produced by Beck Hansen. Recorded in Los Angeles and Northampton, MA this past autumn & winter, with a title culled from The Faith’s “It’s Time”, ‘Demolished Thoughts’ is an equally beautiful and brooding work ; while there’s more than a few tonal similarities to some of your favorite Moore compositions from years past, the execution this time around is nothing short of staggering. No disrespect to 1995’s ‘Psychic Hearts’ or 2007’s ‘Trees Outside The Academy’ is intended on our part when we promise ‘Demolished Thoughts’ burnishes Thurston’s rep as a classic songwriter in ways we never anticipated when this album was first being talked about last year. In addition to Moore’s guitars and vocals, other players include violinist Samara Lubelski (she of prior Moore recordings and touring, her own solo works, Metal Mountains, Hall Of Fame, Tower Recordings, Metabolismus, etc. ), harpist Mary Lattimore (also heard on Kurt Vile’s latest), bassist Bram Inscore, drummer Joey Waronker and Beck. Live performance info, a pre-release MP3 and other details to follow in this space. Psychic Heats, Trees Outside The Academy, what’s the third Thurston Moore solo album (not counting Root)? 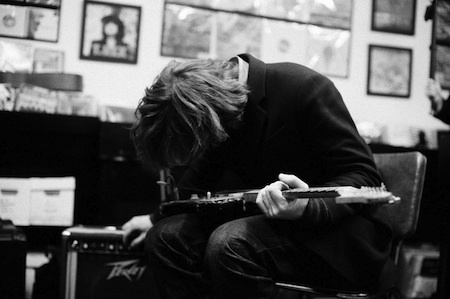 I saw as well some session with Becks for another project w/ Thurston and it was great.